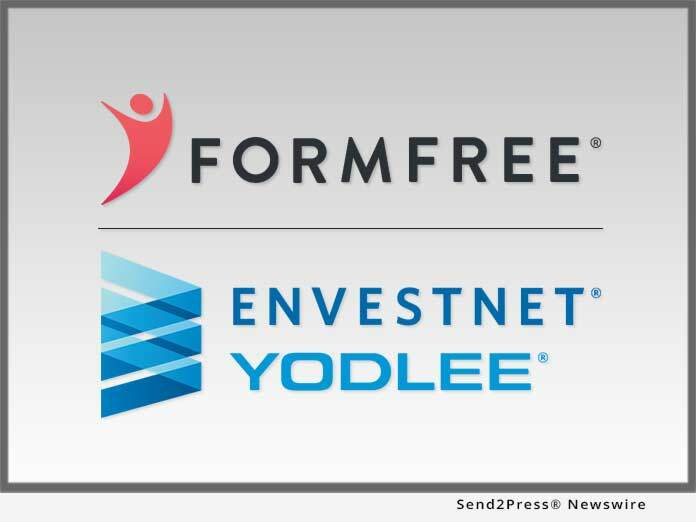 FormFree(R) today announced its expanded partnership with Envestnet | Yodlee (NYSE:ENV), a leading data aggregation and data analytics platform powering dynamic, cloud-based innovation for digital financial services. By leveraging Envestnet | Yodlee Risk Insight Solutions, FormFree will have access to new data points that help to reinforce its position as provider of the most complete and reliable asset, employment and income verification reports in the mortgage industry. ATHENS, Ga. /Mortgage and Finance News/ — FormFree(R) today announced its expanded partnership with Envestnet(R) | Yodlee(R) (NYSE:ENV), a leading data aggregation and data analytics platform powering dynamic, cloud-based innovation for digital financial services. By leveraging Envestnet | Yodlee Risk Insight Solutions, FormFree will have access to new data points that help to reinforce its position as provider of the most complete and reliable asset, employment and income verification reports in the mortgage industry. The Envestnet | Yodlee Risk Insight Solutions deliver reports designed to provide insight into a consumer’s holistic financial picture, utilizing aggregated data from over 16,000 sources, including banking, investment, loan and credit card information. This comprehensive data allows FormFree to enhance its AccountChek(TM) reports with bank statement copies that meet Federal Housing Administration (FHA) requirements. The data will also enable FormFree to fine-tune its analysis of borrower ability to pay with thousands of new rules. FormFree was the first asset verification provider approved for participation in Fannie Mae’s Day 1 Certainty(TM) initiative, which gives lenders who use the Desktop Underwriter(R) (DU(R)) Validation Service reps and warrants relief for validated loan components while delivering a faster and simplified borrower experience. FormFree is also a key participant in Fannie Mae’s ongoing Single Source Validation pilot, which will allow mortgage lenders to validate borrower income, asset and employment data through a single report as early as 2018. FormFree(R) is a fintech company whose market-leading AccountChek(R) reports are used by hundreds of lenders nationwide to verify borrower assets, employment and income in minutes. With FormFree, lenders can delight customers with a paperless experience and reduce origination timelines by up to 20 days. FormFree offers automated analysis and standardized delivery to lenders and their investors using a secure ReIssueKey(TM). To date, AccountChek has securely placed more than one million asset reports for over 1,000 U.S. lenders. A HousingWire TECH100(TM) company for four consecutive years, FormFree is based in Athens, Georgia. For more information, visit https://www.formfree.com or follow FormFree on LinkedIn. Envestnet, Inc. (NYSE:ENV) is a leading provider of intelligent systems for wealth management and financial wellness. Envestnet’s unified technology enhances advisor productivity and strengthens the wealth management process. Envestnet empowers enterprises and advisors to more fully understand their clients and deliver better outcomes. For more information on Envestnet, please visit http://www.envestnet.com and follow @ENVintel.